Beyond automated container management, Kubernetes can provide full container orchestration, managing clusters of containers and/or services across multiple containers. In this expert guide, Alan Earls, contributor to SearchITOperations.com, offers tips on configuring Kubernetes to allow for seamless deployment of containers. 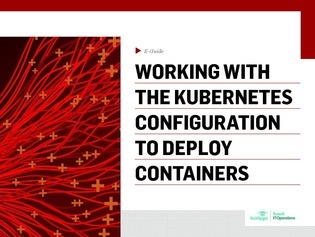 Download your copy as Alan walks you through how to use the Kubernetes configuration for container deployment. Inside, you’ll find expert instruction on properly applying Kubernetes’ nodes, pods, schedulers, and volumes to bypass orchestration challenges, and more.